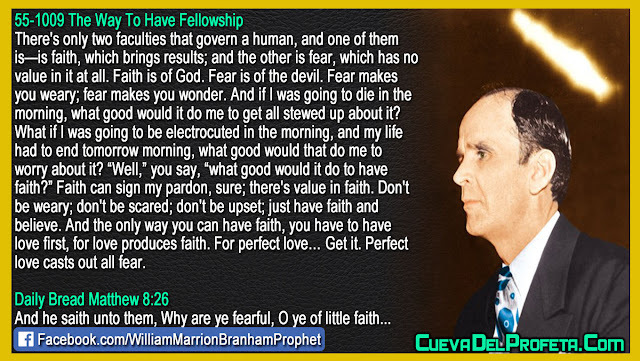 There's only two faculties that govern a human, and one of them is—is faith, which brings results; and the other is fear, which has no value in it at all. Faith is of God. Fear is of the devil. Fear makes you weary; fear makes you wonder. And if I was going to die in the morning, what good would it do me to get all stewed up about it? What if I was going to be electrocuted in the morning, and my life had to end tomorrow morning, what good would that do me to worry about it? “Well,” you say, “what good would it do to have faith?” Faith can sign my pardon, sure; there's value in faith. Don't be weary; don't be scared; don't be upset; just have faith and believe. 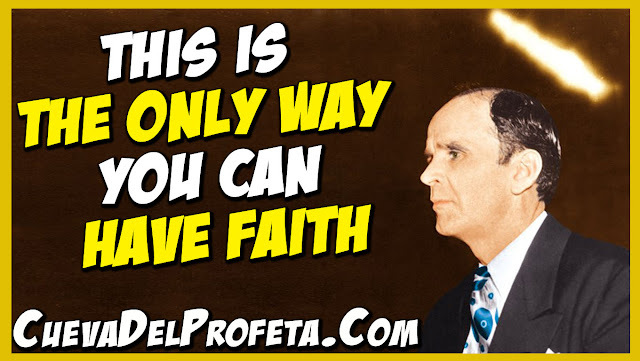 And the only way you can have faith, you have to have love first, for love produces faith. For perfect love… Get it. Perfect love casts out all fear.